We at PopArtUK understand the importance of learning and we hope that our collection of mini posters reassure parents that it no longer needs to be difficult. 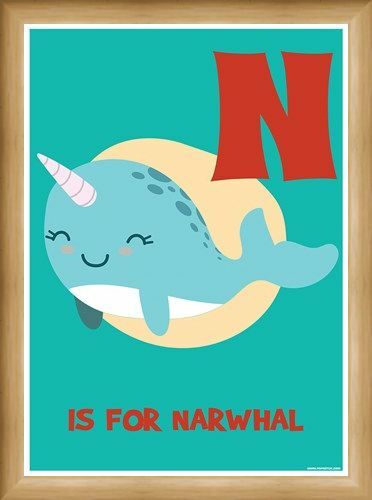 This super cute poster uses pictures to engage children and help them learn their ABC's with ease - this particular product portrays the letter 'N' and has been coloured on a teal background. 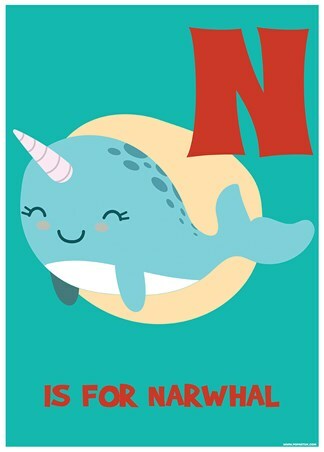 Swimming happily into the centre, is a smiley Narwhal always ready to give your children a helping hand. 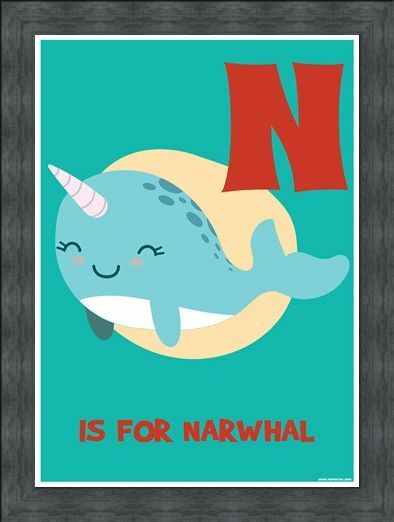 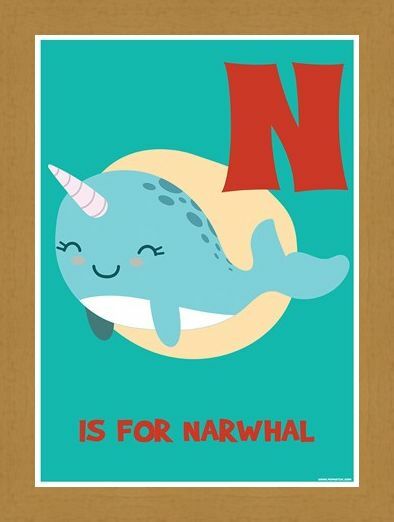 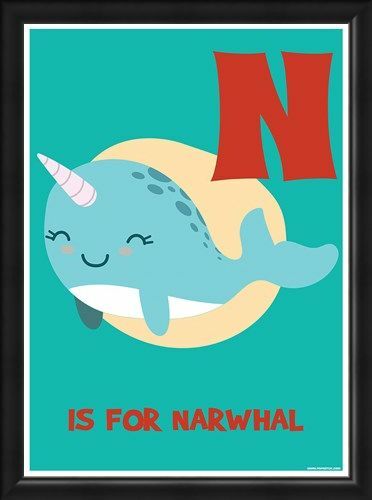 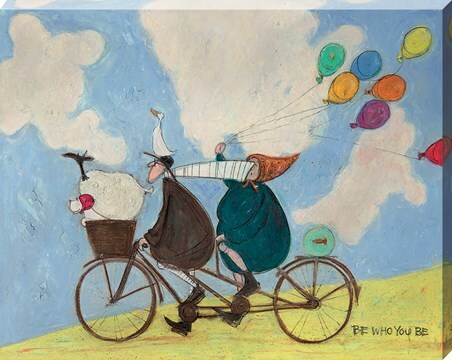 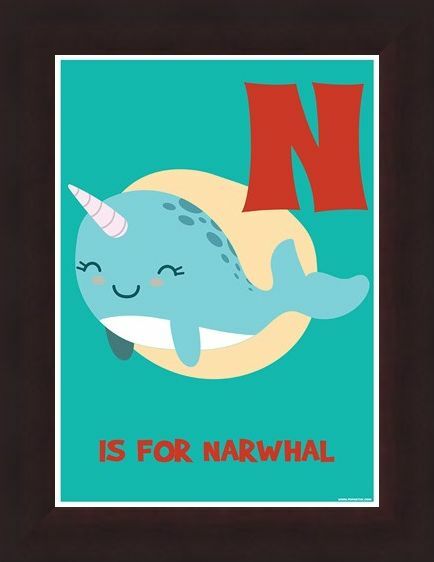 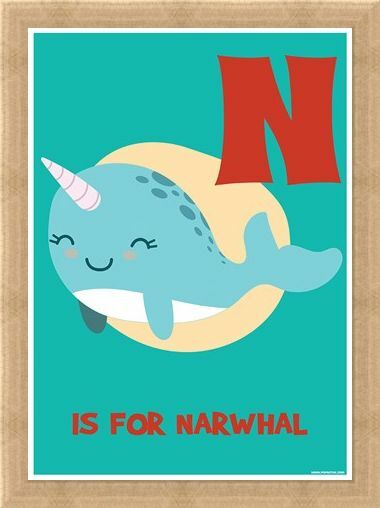 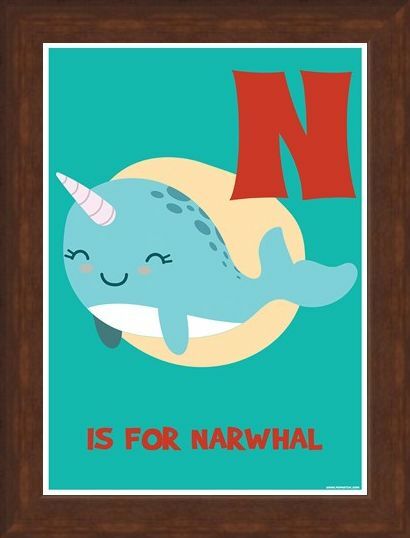 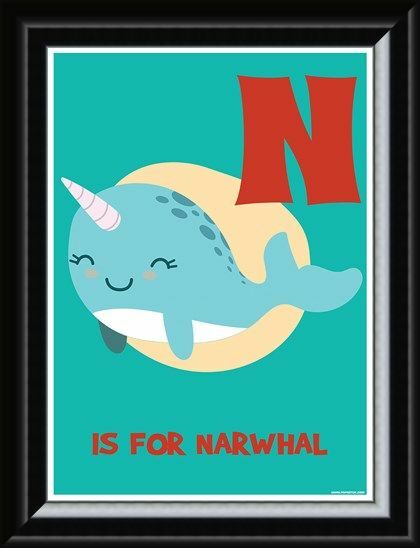 High quality, framed N Is For Narwhal, Alphabet Made Easy mini poster with a bespoke frame by our custom framing service.